The list of executions at Kentucky State Penitentiary are organized by date, beginning with the first execution in 1911. Kentucky began using the electric chair in 1911 and did not cease using this method until 1999 when the first inmate was executed by lethal injection. 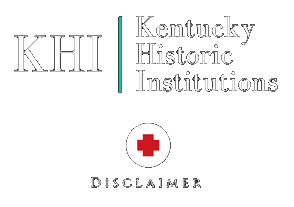 Before 1911, Kentucky law mandated executions be conducted by public hanging via gallows, usually at the county jail in which the offense took place. You will notice under the “County Executions – 1780-1938” tab that some names are blue and have links. We are matching up as many inmates as we can find with photographs, sketches, newspaper articles and other information. Given the age/timeline, we are unable to locate additional resources for all of the condemned. Be sure to click on the name to view additional media related to that particular person. Important: At this time we do not have any physical copies of prison or jail records nor do we have a single contact for inquiries. Should this change, we will make a notice on this page. This database will be updated on a regular basis. Additional references will be added soon.